Angela Maria, MainArtist, AssociatedPerformer - Ary Monteiro, Composer - Augusto Mesquita, Composer Auteursrecht : (P) 1996 BMG ARIOLA DISCOS LTDA. Angela Maria, MainArtist, AssociatedPerformer - Dias Da Cruz, Composer, Lyricist - Cyro Monteiro, Composer, Lyricist Auteursrecht : (P) 1953 BMG Brasil Ltda. Angela Maria, MainArtist, AssociatedPerformer - José Milton, Producer - Paulo Marques, Composer, Lyricist - Ari Monteiro, Composer, Lyricist Auteursrecht : (P) 1951 BMG BRASIL LTDA. Othon Russo, Composer, Lyricist - Angela Maria, MainArtist, AssociatedPerformer - José Milton, Producer Auteursrecht : (P) 1951 BMG BRASIL LTDA. Angela Maria, MainArtist, AssociatedPerformer - Dias Da Cruz, Composer - Cyro Monteiro, Composer Auteursrecht : (P) 1996 BMG ARIOLA DISCOS LTDA. Angela Maria, MainArtist, AssociatedPerformer - José Nunes, Composer, Lyricist Auteursrecht : (P) 1952 BMG Brasil Ltda. Angela Maria, MainArtist, AssociatedPerformer - Roberto Roberti, Composer - Arlindo Marques Jr., Composer Auteursrecht : (P) 1996 BMG ARIOLA DISCOS LTDA. Othon Russo, Composer - Angela Maria, MainArtist, AssociatedPerformer - Ricardo Galeno, Composer Auteursrecht : (P) 1953 BMG BRASIL LTDA. Angela Maria, MainArtist, AssociatedPerformer - Dorival Caymmi, Composer, Lyricist Auteursrecht : (P) 1953 BMG BRASIL LTDA. Angela Maria, MainArtist, AssociatedPerformer - Nélson Wederkind, Composer, Lyricist - Waldir Rocha, Composer, Lyricist Auteursrecht : (P) 1995 BMG Brasil Ltda. Angela Maria, MainArtist, AssociatedPerformer - Paulo Menezes, Composer, Lyricist - Milton Legey, Composer, Lyricist - Roberto Lamego, Composer, Lyricist Auteursrecht : (P) 1995 BMG Brasil Ltda. Angela Maria, MainArtist, AssociatedPerformer - Américo Seixas, Composer, Lyricist - Chocolate, Composer, Lyricist Auteursrecht : (P) 1992 BMG Brasil Ltda. Angela Maria, MainArtist, AssociatedPerformer - Mário Lago, Composer - Henrique Gandelman, Composer Auteursrecht : (P) 1996 BMG ARIOLA DISCOS LTDA. Angela Maria, MainArtist, AssociatedPerformer - Lourival Faissal, Composer, Lyricist Auteursrecht : (P) 1995 BMG Brasil Ltda. Angela Maria, MainArtist, AssociatedPerformer - Nazareno De Brito, Composer, Lyricist - Presyla Barros, Composer, Lyricist Auteursrecht : (P) 1992 BMG Brasil Ltda. Angela Maria, MainArtist, AssociatedPerformer - Armando Fernandes, Composer, Lyricist - Carolina Cardoso Menezes, Composer, Lyricist Auteursrecht : (P) 1995 BMG Brasil Ltda. Angela Maria, MainArtist, AssociatedPerformer - Ivon Curi, Composer, Lyricist Auteursrecht : (P) 1995 BMG Brasil Ltda. Angela Maria, MainArtist, AssociatedPerformer - Mirabeau, Composer - Milton De Oliveira, Composer Auteursrecht : (P) 1996 BMG ARIOLA DISCOS LTDA. Angela Maria, MainArtist, AssociatedPerformer - António Carlos Jobim, Composer, Lyricist - Luiz Bonfa, Composer, Lyricist Auteursrecht : (P) 1995 BMG Brasil Ltda. Angela Maria, MainArtist, AssociatedPerformer - David Nasser, Composer, Lyricist - Herivelto Martins, Composer, Lyricist - Joao Dias, MainArtist, AssociatedPerformer Auteursrecht : (P) 1995 BMG Brasil Ltda. Angela Maria, MainArtist, AssociatedPerformer - José Milton, Producer - Margarita Lecuona, Composer, Lyricist Auteursrecht : (P) 1992 BMG BRASIL LTDA. Angela Maria, MainArtist, AssociatedPerformer - Lourival Faissal, Composer - Eduardo Patane, Composer Auteursrecht : (P) 1996 BMG ARIOLA DISCOS LTDA. Angela Maria, MainArtist, AssociatedPerformer - Dalton Vogeler, Composer, Lyricist - Esdras Silva, Composer, Lyricist Auteursrecht : (P) 1995 BMG Brasil Ltda. Angela Maria, MainArtist, AssociatedPerformer - Getúlio Macedo, Composer, Lyricist - Irany De Oliveira, Composer, Lyricist Auteursrecht : (P) 1995 BMG Brasil Ltda. Angela Maria, MainArtist, AssociatedPerformer - Britinho, Composer, Lyricist - Fernando Cesar, Composer, Lyricist Auteursrecht : (P) 1995 BMG Brasil Ltda. 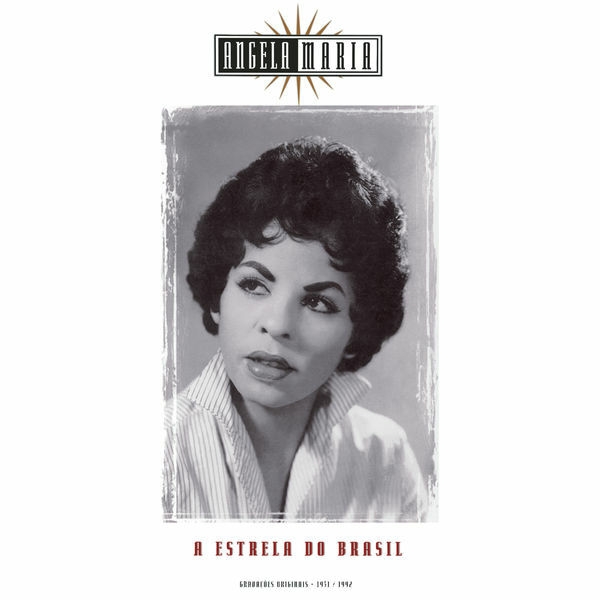 Angela Maria, MainArtist, AssociatedPerformer - Adelino Moreira, Composer Auteursrecht : (P) 1996 BMG ARIOLA DISCOS LTDA. Angela Maria, MainArtist, AssociatedPerformer - Vinicius De Moraes, Composer, Lyricist - Ary Barroso, Composer, Lyricist Auteursrecht : (P) 1962 BMG Brasil Ltda. Angela Maria, MainArtist, AssociatedPerformer - Adelino Moreira, Composer, Lyricist Auteursrecht : (P) 1962 BMG Brasil Ltda. Angela Maria, MainArtist, AssociatedPerformer - Lucio Cardim, Composer, Lyricist - Nello Nunes, Composer, Lyricist Auteursrecht : (P) 1962 BMG Brasil Ltda. Angela Maria, MainArtist, AssociatedPerformer - Adelino Moreira, Composer, Lyricist Auteursrecht : (P)1962 BMG Brasil Ltda. Angela Maria, MainArtist, AssociatedPerformer - Klecius Caldas, Composer, Lyricist - Armando Cavalcanti, Composer, Lyricist Auteursrecht : (P) 1962 BMG Brasil Ltda. Angela Maria, MainArtist, AssociatedPerformer - Vinicius De Moraes, Composer, Lyricist - Ary Barroso, Composer, Lyricist - José Milton, Producer Auteursrecht : (P) 1962 BMG Brasil Ltda. Angela Maria, MainArtist, AssociatedPerformer - Vinicius De Moraes, Composer, Lyricist - Ary Barroso, Composer, Lyricist Auteursrecht : (P) 1962 BMG BRASIL LTDA..
Angela Maria, MainArtist, AssociatedPerformer - Fernando Barreto, Translator - Jean Drejac, Composer, Lyricist - Hubert Giraud, Composer, Lyricist Auteursrecht : (P) 1962 BMG Brasil Ltda. Angela Maria, MainArtist, AssociatedPerformer - Alberto Janes, Composer, Lyricist - José Milton, Producer Auteursrecht : (P) 1962 BMG BRASIL LTDA. Angela Maria, MainArtist, AssociatedPerformer - Jair Amorim, Composer, Lyricist - Alcyr Pires Vermelho, Composer, Lyricist Auteursrecht : (P) 1962 BMG Brasil Ltda. Angela Maria, MainArtist, AssociatedPerformer - Klecius Caldas, Composer, Lyricist - Armando Cavalcanti, Composer, Lyricist Auteursrecht : (P) 1963 BMG Brasil Ltda. Angela Maria, MainArtist, AssociatedPerformer - Evaldo Gouveia, Composer, Lyricist - Jair Amorim, Composer, Lyricist Auteursrecht : (P) 1963 BMG Brasil Ltda. Angela Maria, MainArtist, AssociatedPerformer - A. Do Vale, Composer, Lyricist - F. Valerio, Composer, Lyricist Auteursrecht : (P) 1963 BMG BRASIL LTDA. Angela Maria, MainArtist, AssociatedPerformer - Mariano Moraes, Composer, Lyricist - Enrique Santos Discepolo, Composer, Lyricist Auteursrecht : (P) 1963 BMG Brasil Ltda. Angela Maria, MainArtist, AssociatedPerformer - Vinicius De Moraes, Composer, Lyricist - Baden Powell, Composer, Lyricist Auteursrecht : (P) 1963 BMG Brasil Ltda. Angela Maria, MainArtist, AssociatedPerformer - José Milton, Producer - Margarita Lecuona, Composer, Lyricist Auteursrecht : (P) 1963 BMG BRASIL LTDA. Raúl Sampaio, Composer, Lyricist - Benil Santos, Composer, Lyricist - Angela Maria, MainArtist, AssociatedPerformer Auteursrecht : (P) 1963 BMG Brasil Ltda. Angela Maria, MainArtist, AssociatedPerformer - Adelino Moreira, Composer, Lyricist Auteursrecht : (P) 1963 BMG Brasil Ltda. Angela Maria, MainArtist, AssociatedPerformer - Britinho, Composer, Lyricist - Fernando Cesar, Composer, Lyricist Auteursrecht : (P) 1964 BMG Brasil Ltda. Angela Maria, MainArtist, AssociatedPerformer - Esdras Silva, Composer, Lyricist - Victor Freire, Composer, Lyricist - Ribamar, Composer, Lyricist Auteursrecht : (P) 1995 BMG Brasil Ltda. Angela Maria, MainArtist, AssociatedPerformer - Ribamar, Composer - Toni Vestani, Composer Auteursrecht : (P) 1996 BMG ARIOLA DISCOS LTDA. Angela Maria, MainArtist, AssociatedPerformer - Ary Barroso, Composer, Lyricist - José Milton, Producer Auteursrecht : (P) 1964 BMG BRASIL LTDA. Angela Maria, MainArtist, AssociatedPerformer - Toso Gomes, Composer, Lyricist - Antonio Correia, Composer, Lyricist Auteursrecht : (P) 1964 BMG Brasil Ltda. Angela Maria, MainArtist, AssociatedPerformer - David Nasser, Composer, Lyricist - João Roberto Kelly, Composer, Lyricist Auteursrecht : (P) 1964 BMG Brasil Ltda. Angela Maria, MainArtist, AssociatedPerformer - Adelino Moreira, Composer, Lyricist Auteursrecht : (P) 1995 BMG Brasil Ltda. Angela Maria, MainArtist, AssociatedPerformer - Evaldo Gouveia, Composer, Lyricist - Jair Amorim, Composer, Lyricist Auteursrecht : (P) 1995 BMG Brasil Ltda. Rildo Hora, Producer - Aldir Blanc, Composer, Lyricist, MainArtist, AssociatedPerformer - João Bosco, Composer, Lyricist, MainArtist, AssociatedPerformer - João Bosco & Aldir Blanc, AssociatedPerformer Auteursrecht : (P) 1976 BMG BRASIL LTDA. Angela Maria, MainArtist, AssociatedPerformer - Ronaldo Bastos, Composer, Lyricist - Nouvelle Cuisine, MainArtist, AssociatedPerformer - Toninho Horta, Composer, Lyricist Auteursrecht : (P) 1995 BMG Brasil Ltda. Angela Maria, MainArtist, AssociatedPerformer - Cauby Peixoto, MainArtist, AssociatedPerformer - Hermano Silva, Composer, Lyricist - Vinicius De Moraes, Composer, Lyricist - José Milton, Producer - Angela Maria E Cauby Peixoto, AssociatedPerformer Auteursrecht : (P) 1992 BMG BRASIL LTDA. Angela Maria, MainArtist, AssociatedPerformer - Vinicius De Moraes, Composer, Lyricist - Chico Buarque, Composer, Lyricist - Garoto, Composer, Lyricist - Rafael Rabello, MainArtist, AssociatedPerformer Auteursrecht : (P) 1992 BMG Brasil Ltda. Angela Maria, MainArtist, AssociatedPerformer - Mario Rossi, Composer, Lyricist - MARINO PINTO, Composer, Lyricist Auteursrecht : (P) 1992 BMG BRASIL LTDA. Reinaldo Arias, Composer, Lyricist - Cazuza, Composer, Lyricist - Angela Maria, MainArtist, AssociatedPerformer - Cauby Peixoto, MainArtist, AssociatedPerformer - Ezequiel Neves, Composer, Lyricist - José Milton, Producer - Angela Maria E Cauby Peixoto, AssociatedPerformer Auteursrecht : (P) 1992 BMG BRASIL LTDA. (P) 1996 BMG ARIOLA DISCOS LTDA.